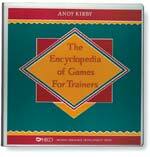 This collection of over 145 group games will get participants involved in the learning process and add substance to new or existing programs on any training topic. 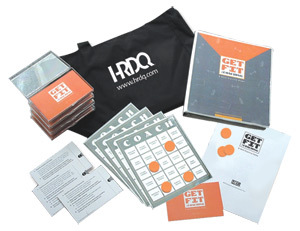 Enhance your coaching training with Get Fit for Coaching – A Skill Practice Game. 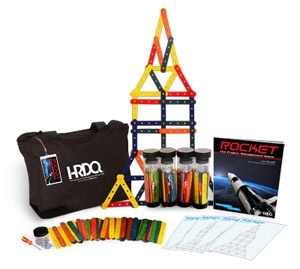 Based on the Get Fit for Coaching assessment, this fun and fast-paced game gives participants the opportunity to practice the five skills vital to effective coaching: building rapport, observing and analyzing, questioning and listening, providing feedback, and facilitating learning. 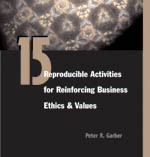 Sharing information in the form of a report is an integral part of most workers' daily responsibilities. Put it in Writing helps employees to create reports that are consistently relevant, organized, credible, and professional no matter whether the message is intended to help improve work processes, resolve an issue, or encourage a decision. Everything you need to get started with Vacation in the Keys, including a comprehensive facilitator guide and six print self assessments. 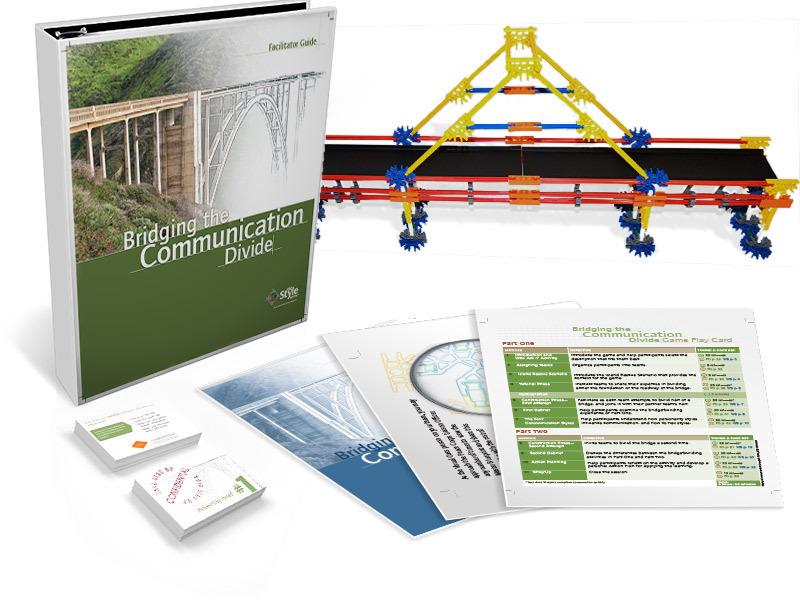 Take your audience on an exciting learning adventure with Bridging the Communication Divide! 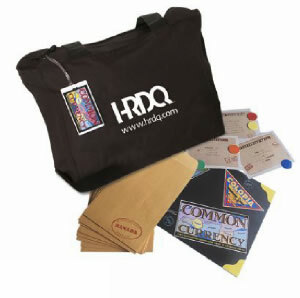 This hands-on experiential game explores the impact personality style has on everyday interactions and then offers a simple communication style model individuals can use to make immediate improvements to their communication skills. 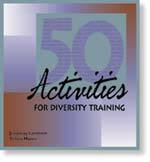 The 50 activities in this resource book has been tested with hundreds of participants to ensure their appropriateness and effectiveness for a variety of diversity training needs. 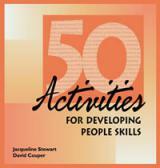 You get unlimited access to 30 Job Aids that will improve performance for any individual or organization. 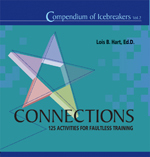 SkillBbuilder Booklets are 12-page training snapshots that present each competency in logical steps. Skillbuilders provide the individual with self-paced learning and easy transition to on-the-job practice. 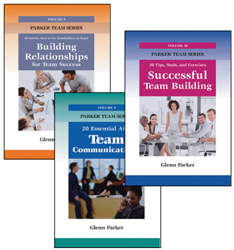 Learn to improve interpersonal skills, enhance management performance, create effective teams, and improve communication within your organization. 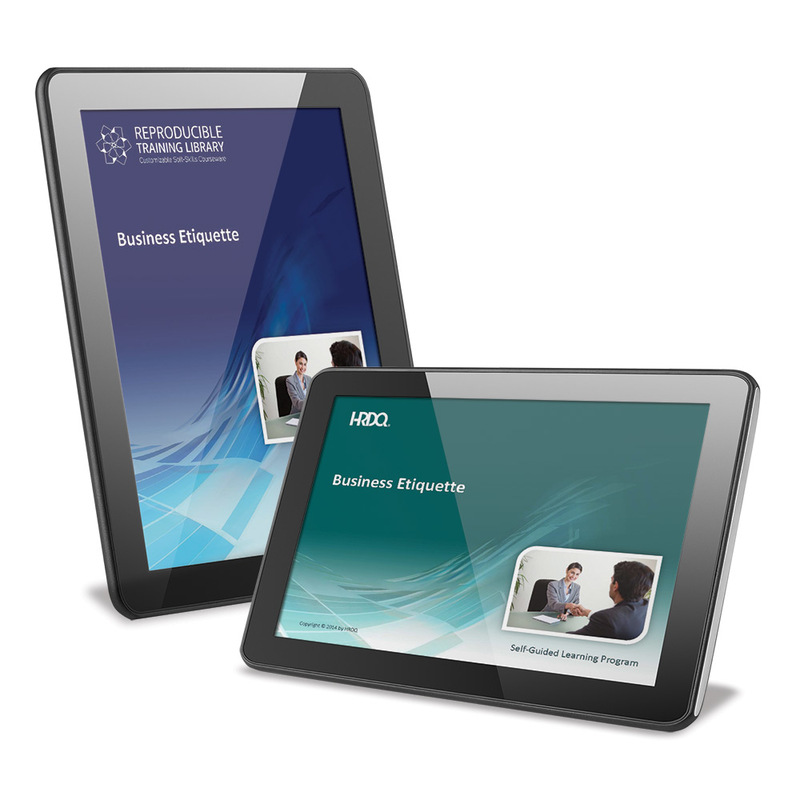 Business etiquette is defined as the conduct or procedures that are generally acceptable and polite in the workplace. It is typically a set of unspoken expectations that most people either meet, or find out about when they do not meet them. This course provides guidelines for common business etiquette, how to show respect for yourself and others, how to establish positive connections with anyone, and how to choose polite and positive responses to rude behavior. While traditional time-management systems take a one-size-fits-all approach, What's My Time Style? 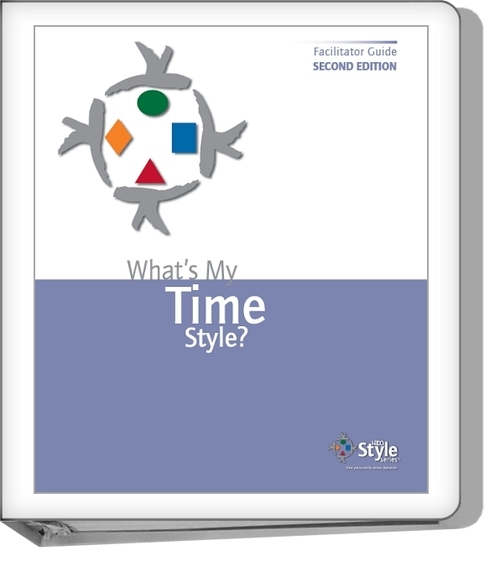 helps people identify their own personal time style and learn how to make that style work for them rather than against them. When you purchase both of the Ouch! videos, Ouch! That Stereotype Hurts and Ouch! Your Silence Hurts you’ll save $190 off the regular price of $1,290. Unlike traditional extrinsic motivation techniques like rewards, Motivating Employees to Be Their Best is about helping employees to find intrinsic motivation by fostering positive feelings and eliminating obstacles. The program focuses on providing the skills and techniques you will need to help groups develop a sense of community, to acquire influence over their work-related actions, and to enjoy the openness of shared information and feelings. 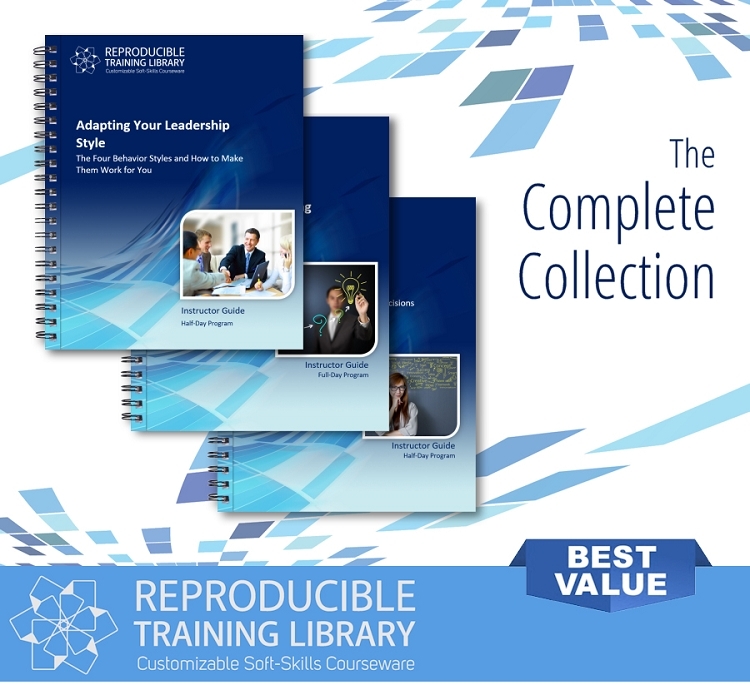 The Reproducible Training Library Complete Collection is a comprehensive library of 300+ hours of soft-skills training provided in 75+ different titles. Rocket: The Project Management Game is a competitive team simulation that emphasizes simple, fast, and flexible techniques for tackling everyday projects successfully. Practical Project Management will help employees to become effective leaders on projects of any size and scope. The program walks participants through four key stages to project management. Throughout the course, they are given the opportunity to apply the techniques inherent in each stage as they work to help a team construct an on-site fitness center that will encourage a healthier lifestyle for employees leading to reduced health insurance costs. 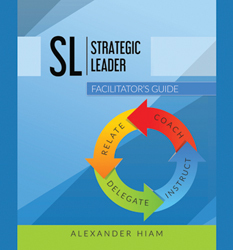 The Facilitator’s manual includes a half day and a full day workshop outline to make it easier for the trainer to deliver workshops of varied length. 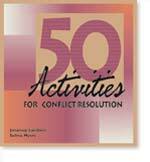 Each topic is introduced with background concepts and there are notes for leading discussions and detailed instructions for leading participants through experiential exercises. 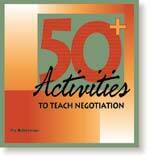 Coaching Achievement helps managers and leaders to become effective on-the-job coaches. This one-day program enhances their skills at developing and maintaining effective coaching relationships in order to improve the performance and growth of others. Trust. It's the essential foundation of every relationship. And, in an organization, trust is fundamental - particularly given trends such as job-sharing, telecommuting, and virtual teams. The concept seems so simple, but how do you train on trust? 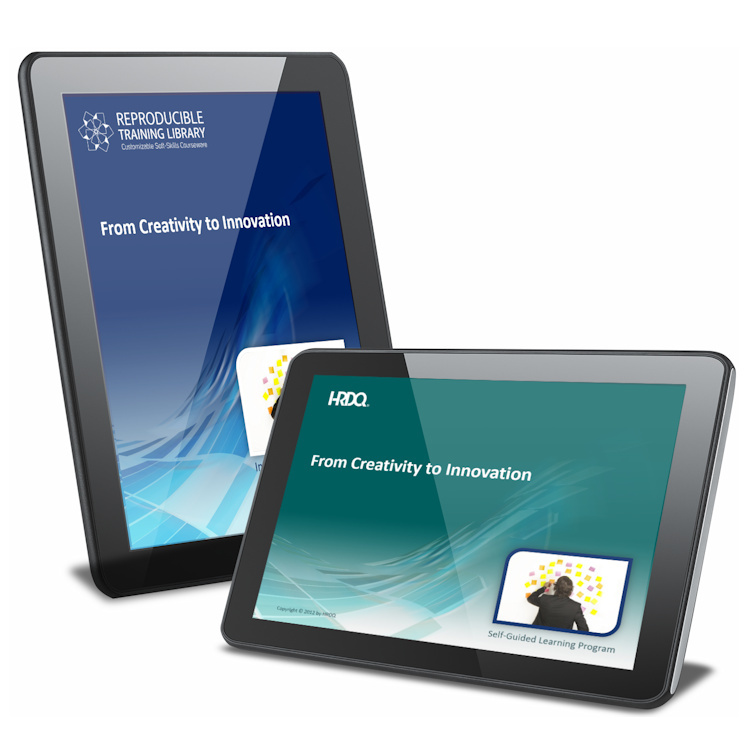 Coming up with an idea is only a first step to innovation. What matters more are execution and implementation. It may seem obvious, but many companies struggle with it. While brainstorming sessions are stimulating and spawn ideas - the implementation is too often considered impractical just days after the exercise. 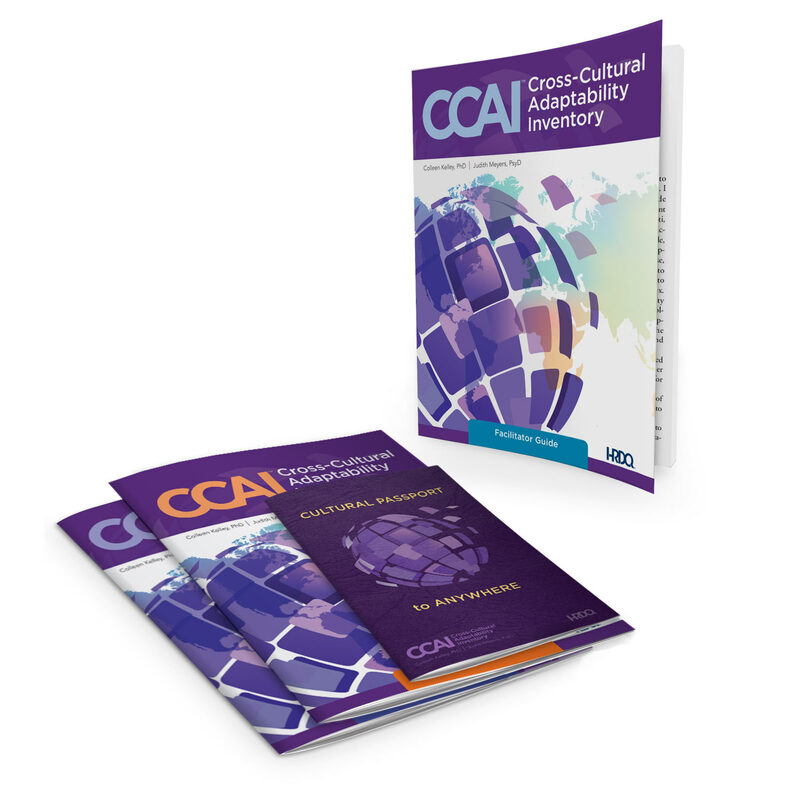 The Cross Cultural Adaptability Inventory (CCAI) workshop is a powerful experience that helps participants identify their personal areas of low cultural understanding and provides examples of ways to improve them. 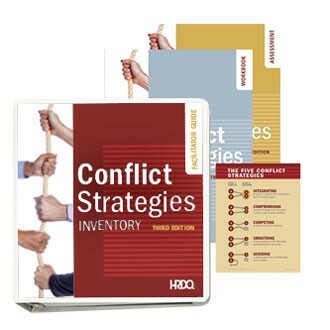 Conflict, change, and stress are a regular part of everyday organizational life. The key to employee survival is resilience, the ability to bounce back after adversity. Being resilient doesn't prevent tough challenges from happening, but it does provide individuals with the strength and wherewithal to recover and move on time and time again. Organizational Trust is about helping managers supervisors, and leaders to effect these outcomes by building, improving, or restoring an environment of trust. 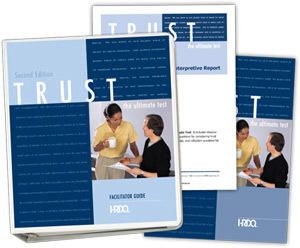 Participants begin by examining the quality of trust on an organizational and personal level (or how trustworthy others perceive them to be) and then reviewing the characteristics and behaviors which shape trust. 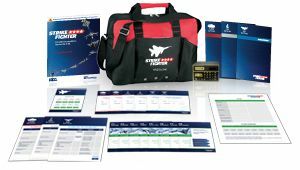 Before the people in your organization attempt to maneuver through real-world negotiations, give them the opportunity to practice their skills in the safety of the classroom with Strike Fighter, HRDQ's new action-packed training simulation that teaches a solid start-to-finish strategy. 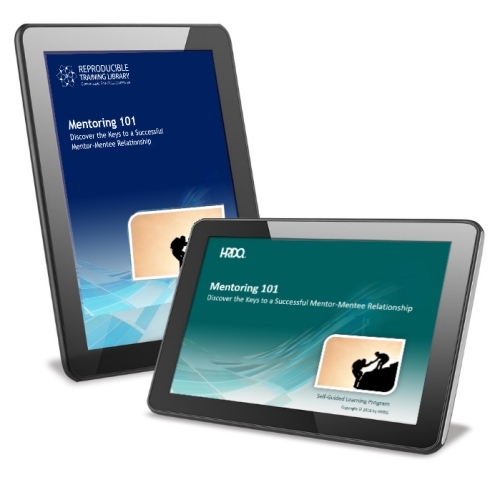 From the perspective of both mentee and mentor, Mentoring 101 teaches participants how to ask the right questions, set up expectations, and establish measurements of success to ensure the relationship is a valuable use of each person�s time. Mentoring is not just for fast-tracked, star-potential employees. Everyone from millennials (the newest employees in the workforce) to CEOs can benefit from having a mentor. Are you maximizing every opportunity to connect with participants before, during and after training? 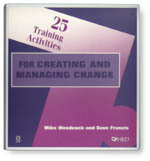 This is the key to optimizing the learning experience of every individual � and the focus of these 125 tested and proven-effective activities for trainers. Ask any sales professional about prospecting and most will tell you it's their least favorite thing to do. From figuring out how to develop a territory to finding qualified leads and making cold calls, it's enough to cause even the most seasoned people to cringe. Some even point fingers claiming it's not within the realm of their responsibility. But prospecting is the vital first step in the sales cycle, and the key to success is preparation, practice, and confidence. As a module of the Selling Essentials Training Series, Prospecting and Territory Management gives salespeople at all levels the know-how to tackle prospecting, maintain a healthy pipeline, and grow their business.